Without a doubt, Tokyo has its share of wonderful hair salons. But there’s nothing quite as satisfying as finding that salon that can acknowledge your individual features and marry them perfectly with the latest trends and styles. And Morio from London does just that. With 15 salons throughout Japan and one in London, Morio provides those seeking that ideal trim and treatment with a relaxing environment, from which the client emerges looking and feeling like a star. In particular, Morio’s main branch in Harajuku, located a stone’s throw away from Meiji-jingumae Station and a three-minute walk from Harajuku Station, offers a quiet, soothing retreat from the hustle and bustle of the trendy district. The staff at Morio are all experts at what they do, having studied hair cutting and blowing techniques in both London and Paris, as well as having participated in the Sassoon Academy. The friendly stylists use their expertise to give you that professional cut you’ve been looking for, that’s tailored specifically to your features; and know how to work with all kinds of hair. Many of the staff also speak English, so rest assured they’ll understand the look you’re going for. Morio utilizes Wella Professionals hair dye for high-quality hair coloring. 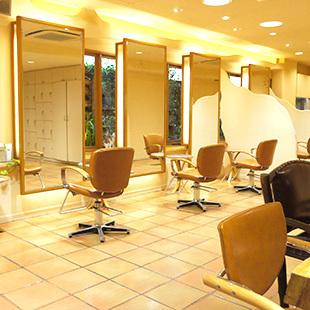 For perms, the salon uses chemicals that are safe and suited for non-Japanese hair. The Harajuku branch also has on staff a colorist who earned the title “the Japanese Champion of Foilworks,” to ensure your hair really glows. If you’re looking for a salon that really gets you, look no further than Morio from London for A-list service and results. 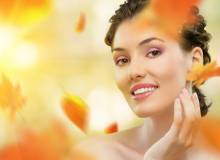 Appointments usually not necessary on weekdays—weekends can be busy—so feel free to pop in anytime! Metropolis readers get 30% off all menu options on first visit! Cuts from ¥5,100; kids cuts from ¥3,100; color from ¥7,800; straightening from ¥15,000; wave from ¥7,000; treatments from ¥5,000. Morio from London. Harajuku main branch: 2F Green Fantasia Bldg., 1-11-11 Jingumae, Shibuya-ku. Open Mon & Wed-Sat, 11am-9pm; Sun & hols 10am-8pm. Tel: 03-3408-5160. Nearest station: Meiji-jingumae or Harajuku.